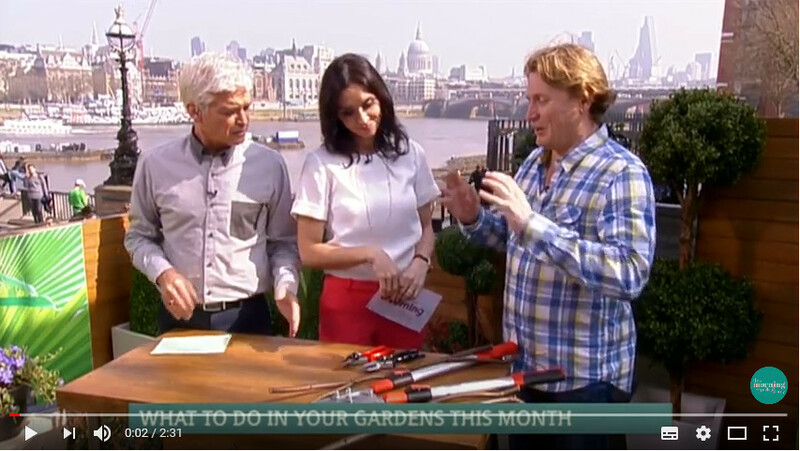 I’ve been part of the team at This Morning for over a decade now, sharing seasonal planting ideas, garden design tips, and advice on gardening gadgets as their resident gardener. 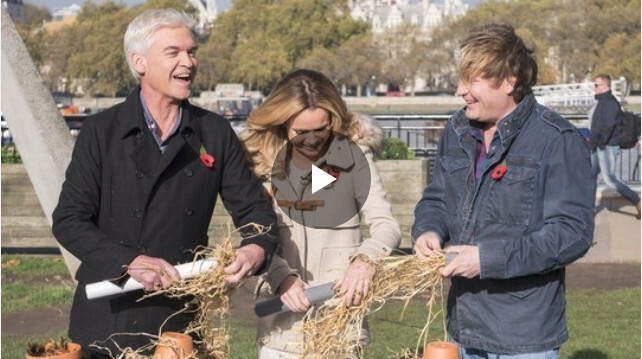 Tune in every weekday from 10:30am to 12:30am, or catch up on shows you’ve missed with ITV Player. 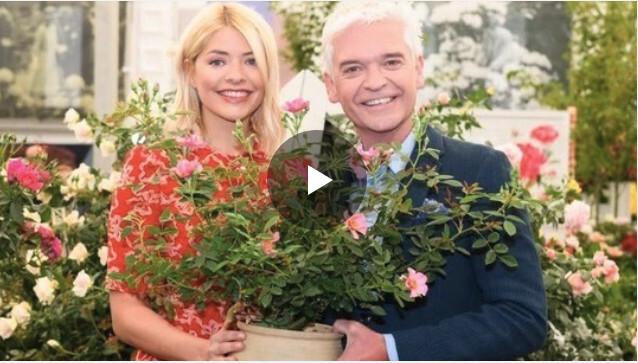 To celebrate This Morning’s 30th anniversary, a team of specialist rose breeders and I created a unique rose that was launched at the RHS Chelsea Flower Show 2018. The bloom is dusky pink with a deep burgundy spot at the centre. It has a light spicy perfume and pollen-rich stamens which are ideal for attracting bees. The Queen’s love of flowering plants and majestic trees is evident in her beautiful Buckingham Palace Gardens and regular public tree-planting appearances. 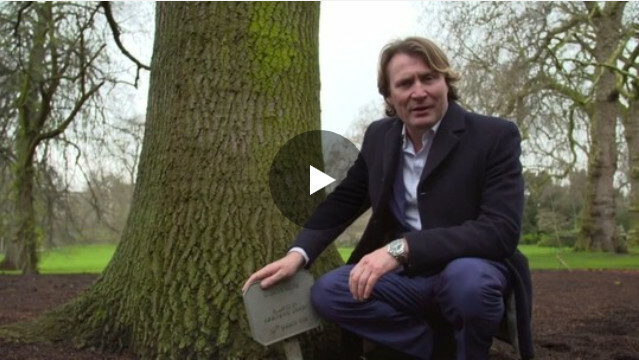 I caught up with the Palace’s Deputy Gardens Manager, Claire Midgley, to find out more about the largest private garden in the capital. There’s nothing quite like those first splashes of colour from jolly spring bulbs and early flowering plants like Forsythia. 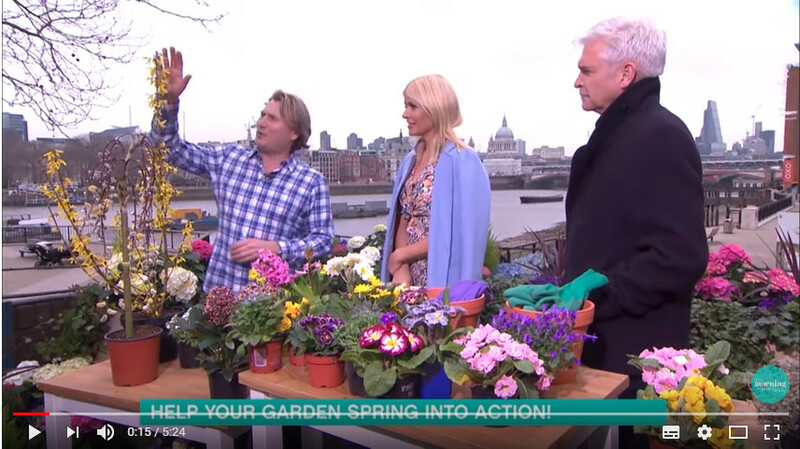 In this appearance, I discuss how to plant to give your garden extra oomph in the spring as well as offering some tips on how to plant for best results. If you’re looking to add greenery to your indoor space with minimal fuss, look no further than the trusty terrarium. 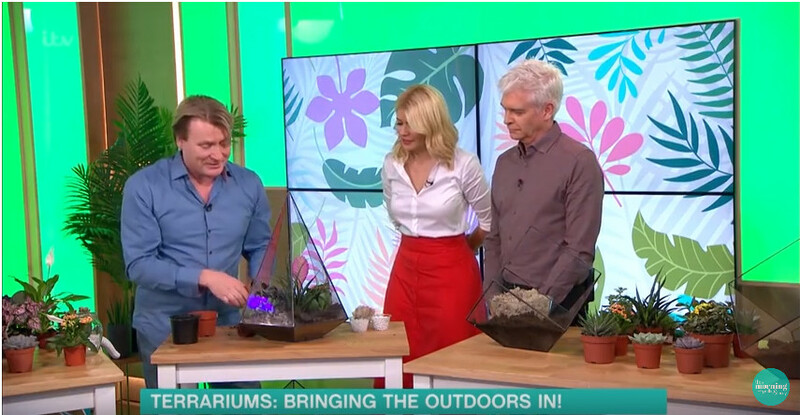 Terrariums come in all different shapes and sizes, require little watering, and make wonderful decoration to brighten the corners of your home. 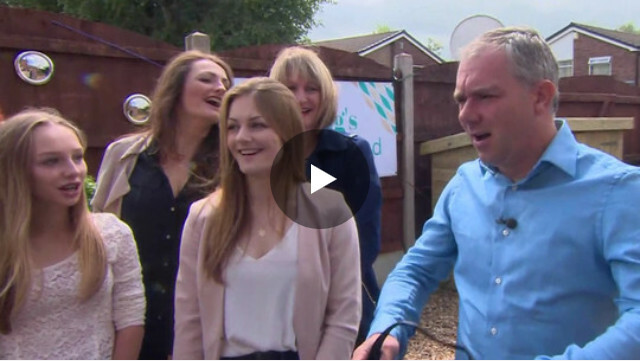 Father of four, Simon, gets his shed pimped by me and my team. Since he’s a huge fan of Mini Coopers, we took this idea and drove with it. Simon also loves beer, so his family asked if we could install a Mini-themed bar. Job done! Put a smile on your face this spring with the bountiful golden flowers of Forsythia, the dusky bee-friendly flowers of Hebe, and the delightful repeat-flowering heads of Scabiosa. 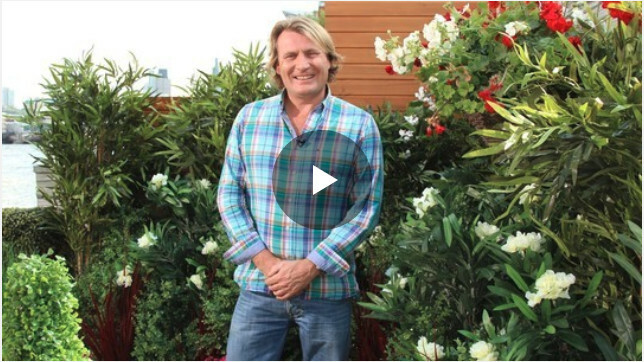 In this video, I look at how you can get your garden into shape for the season ahead. In this video, I look at different tools that will make short work of essential pruning jobs this spring. Plus, a nifty trick using a 10 pence piece that will tell you whether wood needs pruning away every time. Don’t leave your plants struggling to make use of old, worn out soil this spring. Instead, use these simple tricks to give your plants a head start and keep them flowering their backsides off all season long. Who doesn’t love the smell of pine needles at Christmas? 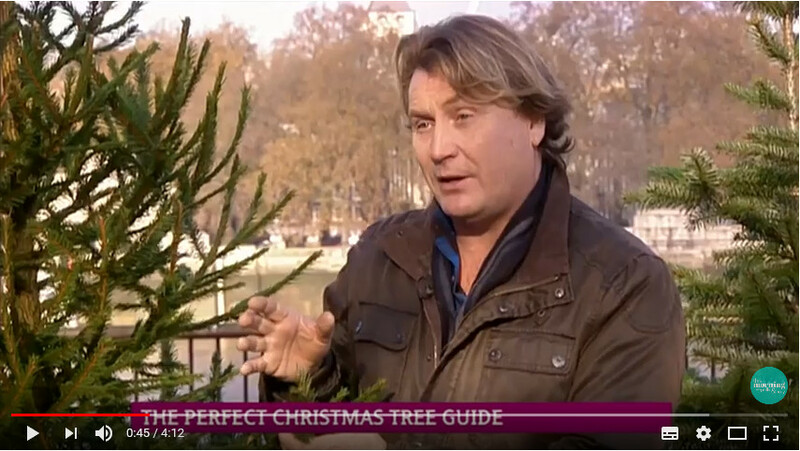 Choosing the ideal tree for your home is easy if you have a bit of horticultural know-how. 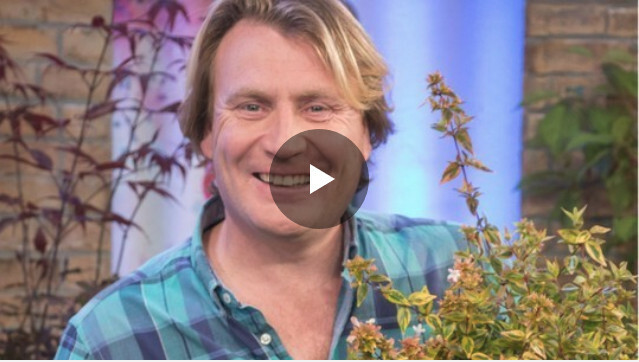 Find out which trees retain their needles, what their comparative prices are , and whether you should opt for a cut or container grown tree to get the effect you want. What would Christmas be without magical lights adorning the porch or novelty reindeer dotted about the garden? 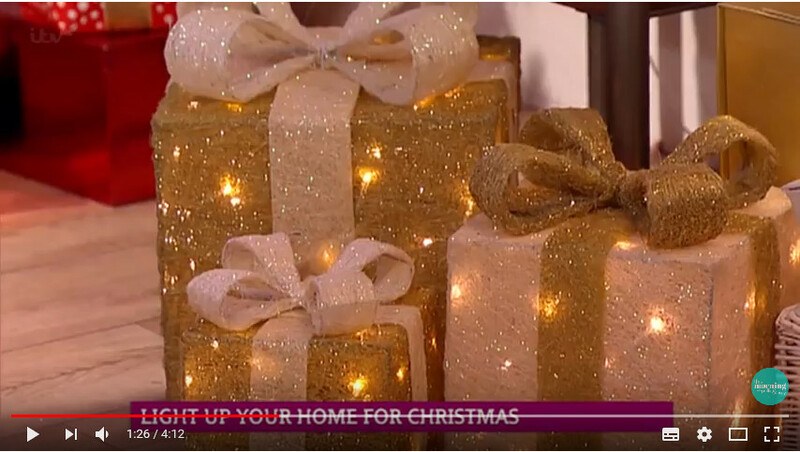 In this video, I look at the different options for outdoor festive lights, from fun light-up Christmas puddings to tasteful waterfalls of twinkly LEDs. Bring out your inner child with these fantastic and unusual Christmas lighting options. Everything from light up trees, presents and baubles to twinkly snowflakes, stars and reindeer. These lights will really get you into the Christmas spirit. If you fancy giving your house a Christmassy look this season without breaking the bank, making your own wreath is a great option. 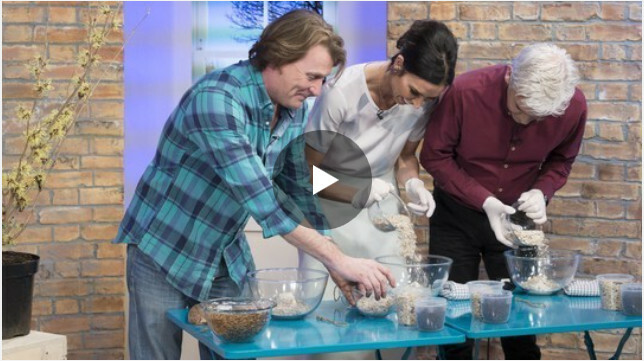 Watch the video for my top tips for involving the kids in creating one from scratch or for jazzing up an old wreath that’s seen better days. Artificial plants have come on a long way since I was a kid. They are more sophisticated and more convincing. Have a gander at the lush lawn and gorgeous flowering plants in this video… where all is not quite as it seems. The nights are drawing in and the temperature is dropping as we say goodbye to autumn and beckon in the winter. Find out how to protect your plants throughout the cold season and glean some handy tips for bringing welcome colour to your garden this winter. 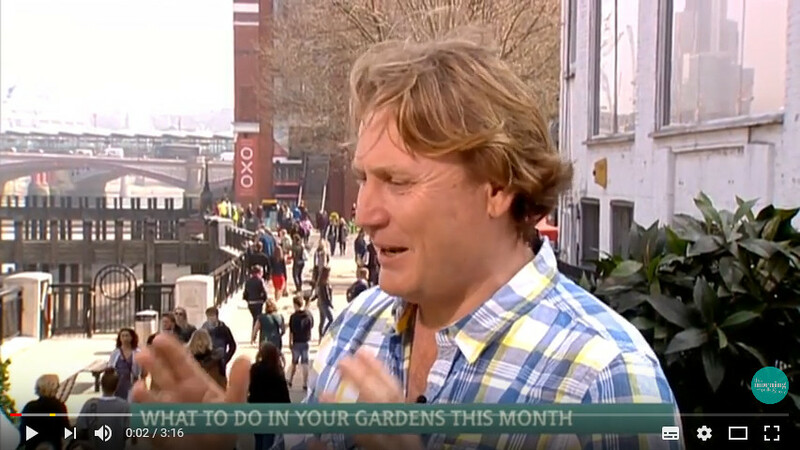 Don’t be fooled into thinking that, as summer draws to a close, your garden must also close up shop for the cold months. Add autumn vibrancy to your garden with autumn berries, cracking foliage and interesting plant shapes to brighten up fading borders. Plus, a fail-safe formula to re-vamp your pots in time for winter. Have limited outdoor space or bare walls that need cheering up? Look no further than vertical gardening. 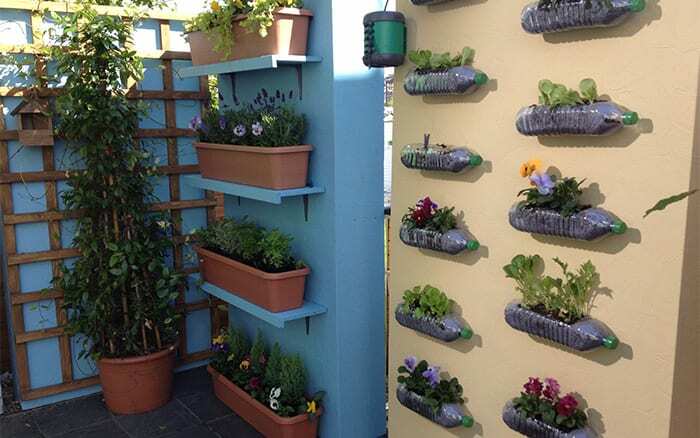 Create a living wall using plastic drinks bottles, grow climbers and espaliered fruit trees up a wall or use outdoor shelving to create extra space for plant pots. Stunning.